China today struck an upbeat note as trade talks resumed with the US, but also expressed anger at a US Navy mission through the disputed South China Sea. This has cast a shadow over the prospect for improved Beijing-Washington ties. The US is expected to keep pressing China on longstanding demands that it reform how it treats US companies' intellectual property in order to seal a trade deal that could prevent tariffs from rising on Chinese imports. The latest talks will begin with working level discussions from today until Wednesday before high-level discussions at the end of the week. Negotiations concluded in Washington last month without a deal and with the top US negotiator declaring that a lot more work needed to be done. "We, of course, hope, and the people of the world want to see, a good result," Chinese Foreign Ministry spokeswoman Hua Chunying told reporters at a regular news briefing in Beijing today. 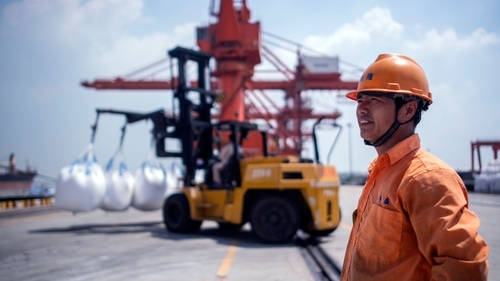 The two sides are trying to hammer out a deal ahead of the March 1 deadline when US tariffs on $200 billion worth of Chinese imports are scheduled to increase to 25% from 10%. Lighthizer was named by US President Donald Trump to spearhead the process after agreeing a 90-day truce in the trade war with Beijing. He has been a strong proponent of pushing China to end what the US views as unfair trade practices, including stealing intellectual property and forcing US companies to share their technology with Chinese firms. Asked if the ships' passage would impact trade talks, Hua said that "a series of US tricks" showed what Washington was thinking. But Hua added that China believed resolving trade frictions through dialogue was in the interests of both countries' people, and of global economic growth.